No date ; 6 pages; Color (green, black & white photographs). 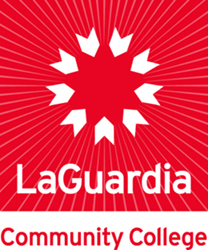 Cover article: â€œLAGUARDIA SELECTED BY H.E.W. AS ONLY COMMUNITY COLLEGE IN U.S.A. TO DEVELOP CAREER EDUCATION MODEL FOR COUNTRYâ€™S 2-YEAR COLLEGES." LaGuardia Community College, "Perspective: LaGuardia Community College Newsletter " (1976). CUNY Academic Works.